Operant Subjectivity is the official journal of the International Society for the Scientific Study of Subjectivity (ISSSS). The journal is committed to the ideas and concepts of Q methodology as enunciated by William Stephenson (1902-1989), and, while not precluding alternative viewpoints, encourages contributions compatible with this commitment. The primary mission of Operant Subjectivity is to foster understanding of subjectivity through presentation of original research, theoretical and philosophical critique, and methodological clarification. The most recent three full volumes of the journal are available as open access. Q Methodology is a research method used to study people's "subjectivity" -- that is, their viewpoint. 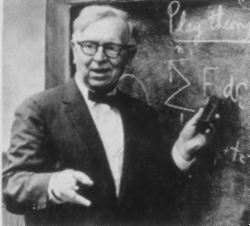 Q Methodology was originally developed by William Stephenson (1902-1989), an Englishman trained in physics (Ph.D., 1926), psychology (Ph.D., 1929) and psychometrics under the tutelage of Charles Spearman and Sir Cyril Burt. It has been used both in clinical settings for assessing patients, as well as in research settings to examine how people think about a topic. Learn more about Q Methodology.